The Qatari Businessmen Association’s 4th General Assembly was convened on the 16th of July 2013 at QBA’s headquarters, the meeting was headed by Sheikh Faisal Bin Qassim Al Thani QBA’s Chairman and attended by QBA's First Deputy Chairman Mr. Hussein Ibrahim Al-Fardan, QBA's second Deputy Chairman Sheikh Dr. Khalid Bin Thani Al-Thani, QBA’s Secretary General Mr. Issa Abu Issa, and QBA's Board Member Mr. Sherida Saad Jubran Al-Kaabi, whereas Mr. Abdullah Bin Nasser Al-Misnad QBA's board member has authorized Sheikh. 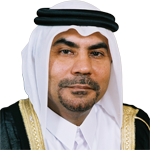 Dr. Khalid Bin Thani Al-Thani to represent him in both the 28th Board meeting and the 4th General Assembly, and Mr. Omar Al-Manna QBA Board member and Sheikh. 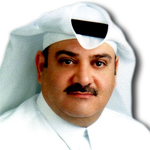 Hamad Bin Thani Al-Thani QBA Board member has both authorized Sheikh. 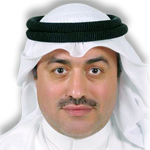 Faisal Bin Qassim Al-Thani to represent them in the 28th Board meeting and the 4th General Assembly. 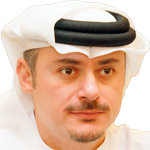 The following members have also attended the meeting Sheikh Mohammed Bin Faisal Bin Qassim Al-Thani, Mr. Ebrahim Al Neama, Mr. Ibrahim Al-Jaidah, Dr. Hussein Al Abdulla, Mr. Salah Al-Jaidah, Mr. Maqbool Habeeb Khalfan, Mr. Nasser Sulieman Al-Haidar, Mr. Nabil Abu Issa, Mr. Khalid Al-Mannai has authorized Mr. Sherida Saad Jubran Al-Kaabi to represent him in the 4th General Assembly, and Mr. Khalifa Al-Suwaidi has authorized Sheikh. 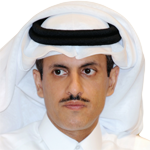 Faisal Bin Qassim Al-Thani to represent him in the meeting. It's our great honor and pleasure to welcome you to the Qatari businessmen Association 4th General Assembly, which takes place in a period that constitutes an important turning point in the march of our beloved country Qatar and the Association. Through this meeting, we will represent a full report on QBA's activities and achievements, but first I would like to take this opportunity to extend our warmest congratulations and felicitation to His Highness Sheikh. Tamim Bin Hamad Al Thani, the Emir of the state of Qatar, "may Allah protect him" on the occasion of HH's taking power as the new Emir of the state of Qatar we pray to Allah the Almighty lord to bless his leadership and bestow success upon his royal endeavors to serve his nation and lead the state, and to gift Qatar with everlasting prosperity and success under his royal leadership, we trust HH's wisdom and experience in managing the country and his deep knowledge in the reality of the region and the Arab world. 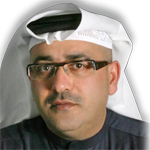 We would also like to further extend our heartfelt feeling of gratitude and appreciation to H.H Sheikh. 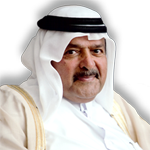 Hamad bin Khalifa Al Thani "May Allah protect him", for his long history of wholehearted dedication and sincere leadership of Qatar and parental care he bestowed upon his nation. H.H's achieved an outstanding development in all fields in Qatar including economic, cultural, media, sports in a short period, which dazzled the world and put Qatar on the map of developed countries and set a role model for the rest of the countries. Qatar's economic policy over the past years has succeeded in addressing the economic crisis, in achieving an economic growth, raising the indicators of the local economy at a global level where Qatar's was placed number 11 in the Global Competitiveness Report leading the Arab countries and the Middle East in the Report issued by the World Economic Forum in cooperation with the Qatari Businessmen Association. Today and through our meeting we promise His Highness Sheikh Tamim bin Hamad Al Thani, that we as representatives of the business community, and private sector to continue to work and follow the development that is led by the state, and to support H.H's in achieving the prosperity of the State of Qatar. 3. Discharge of the board members for the 2011 financial year. 4. Appointment of the auditor. 5. Ratification of the Budget for 2013. And decided to add 2 more members to the current board, QBA will announce the names shortly. QBA's General assembly have decided to establish sectoral and specialized committees that work on detailed economic studies of each sector of the economy, and deliver specialized papers on each sectors highlighting the importance of each sector, their contribution to Qatar's economy and the challenges and opportunities available in each sector, the papers will be submitted to higher authorities for discussion and cooperation. 1. The Business and Investment in Qatar Forum, which was held in Berlin, in Germany, under the patronage and in presence of H.E sheikh Hamad Bin Jassim Al Thani, Qatar's former Prime Minister and Minister of Foreign Affairs, and in the presence of HE the German Chancellor Mrs. Angela Merkel. The forum achieved an outstanding success in Berlin. Were it attracted more than 1000 businessmen and representatives from big and medium American companies, which reflect the importance of the Qatari market to the business community in Germany, and the importance of Qatar as a center for investment in the region. The forum attracted a large number of highly distinguished businessmen and dissection makers from the state of Qatar, as the number of the Qatari delegation reached 400 participants. 2. Qatari- French Business Forum, under the patronage and in presence of H.E sheikh Hamad Bin Jassim Al Thani, Qatar's former Prime Minister and Minister of Foreign Affairs and in the presence of HE the French President Mr. Francois Hollande, with the participation of a wide range of senior government officials, businessmen and representatives of public and private sectors. 3. “Listing of Private Companies: Supporting Qatar’s National Vision” event, under the patronage and in presence of H.E sheikh Hamad Bin Jassim Al Thani, Qatar's former Prime Minister and Minister of Foreign Affairs which discussed the importance of listing the private companies in Qatar Exchange. 4. QBA has organized the Qatari- Turkish Business Council, during the members visit to Turkey, and a meeting with H.E the Turkish Trade minister. 6. 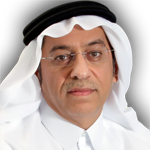 QBA has organized "Inside Investor Forum Asia 2012" Under the patronage of H.E. Sheikh Hamad Bin Jassim Bin Jabor Al Thani, the former Prime Minister and Minister of Foreign Affairs of the State of Qatar, in cooperation with Inside Investor. 7. QBA has organized the Qatar-Italian Business forum. 8. QBA has organized the "14th Arab business forum" under the patronage of His Highness Sheikh Hamad bin Khalifa Al Thani, the forum is organized in cooperation with the League of Arab States and the Federation of Arab Businessmen, the forum was held under the theme "Arab Spring: Challenges and Opportunities amidst the Current Global Economy". 400 Businessmen and businesswomen, as well as major economic institutions and personalities of the Arab world have participated in the forum. 9. QBA has organized a round-table discussion attended by the new president of Qatar International Court and Dispute Resolution Center, Mr. Lauder Phillips. 10. 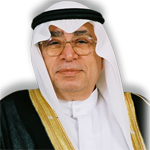 QBA has organized the "Qatar Investment window 2011" under the patronage of HE Sheikh. 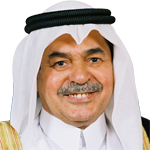 Hamad bin Jassim bin Jabor Al Thani, the former Prime Minister and former foreign minister, in collaboration with UCI London. 11. QBA has organized the Qatari-Spanish Business forum, under the patronage of HE Sheikh. Hamad bin Jassim bin Jabor Al Thani, the former Prime Minister and former foreign minister and in the presence of His Excellency the Minister of Industry, Tourism and Trade of Spain. 28. Business meeting with a highly distinguished Business delegation from Germany, headed by Prof. Dr. Hans Heinrich Driftmann, President of the German Chamber of Industry and Commerce. 1. QBA singed an MOU with China- Qatar business council. 2. QBA singed an MOU with Qatar international court and dispute resolution centre (QICDRC). 3. QBA singed an MOU with Confindustria Monza e Brianza (CMB). 4. QBA singed an MOU with the Switzerland trade and Investment promotion organization (OSEC). 5. QBA singed an MOU with the Business owners Union. 6. QBA singed an MOU with Pakistan-Qatar business council. Finally QBA has issued the "Qatar construction guide 2012", the first book in a series of books that the Association intends to produce, allocated to each sector of Qatar's economy, as the communications sector and the legislative and legal sector. We would like to thank the local and the regional media for their continuous support and coverage to QBA’s activities. QBA had conducted its 28th board meeting prior to the General assembly, where the Board discussed QBA's previous activities, ratification of the 2013 budget and discussed the association upcoming event.